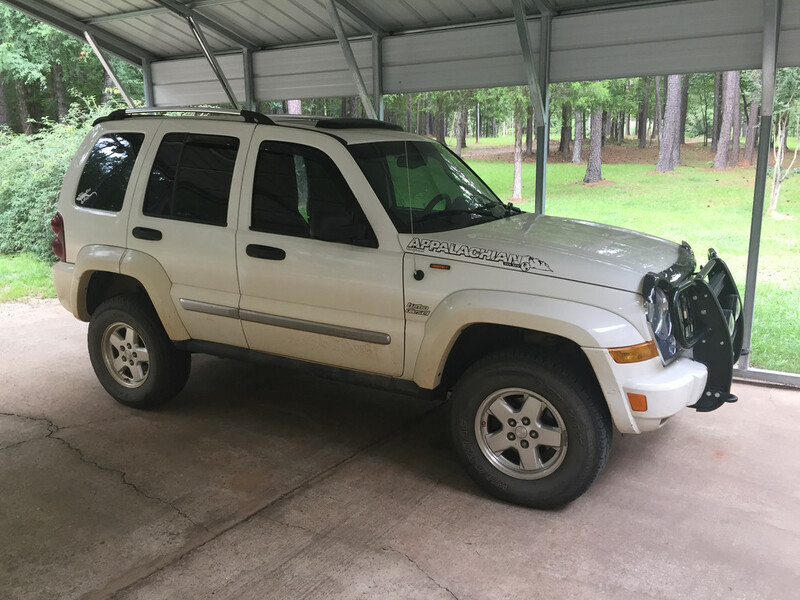 LOST JEEPS • View topic - Replaced Crankshaft Position Sebsor-No Start! Replaced Crankshaft Position Sebsor-No Start! Post subject: Replaced Crankshaft Position Sebsor-No Start! Sorry if this is long and winded but I'm trying to write through my tears. We thought buying one of these with a diesel was a good idea but we were wrong. We have a 2005 Jeep Liberty Limited CRD and this thing has given us nothing but troubles. We are still paying a loan on this vehicle also. We just want it to run so we can sell it and get it out of our life! Anyways, we have replaced turbo, all rockers, done a GDE tune, new timing belt, 3 new timing pulleys, EGR delete kit, crank shaft position sensor is the latest. We had this running for 1 day and my husband drove it to work. Then caput again! This stupid thing will not start even with replacing the sensor with an OEM from the dealership! I'm just done and feel defeated! My husband has been on here before researching and it seems we can't find an answer to this. The truck just won't start! I swear it is cursed! If I didn't have a car payment on it. It would be in the junkyard! This vehicle has almost ruined us financially! Someone, anyone please help! Why won't it start? Did it jump time? Even the mechanics at Chrysler can't figure it out? So, I'm on here trying to help my husband so we can just try to get this thing started and sold to pay off the car note! Post subject: Re: Replaced Crankshaft Position Sebsor-No Start! Also, the jeep has about 114k miles on it since we never really got to drive it. The Dealer should be able to pull stored codes for you so we can help you out. Does the engine turn over but not fire? Does it fire but cut out again? Does it fire but make weird noises etc.? CEL engine light comes up on the cluster display. When ignition is turned ON you should see a red LED on the left side of the cluster. This should stay ON for a few seconds then go out. If it stays ON or if it flashes at you then there is a SKIS anti theft problem...get back to us on this LED issue please. Have you pumped any possible air out of the fuel filter head? You have come to the right place here at Lost...if you cannot get your problem resolved here then it will never be resolved so hang in there! Sorry, I wrote the wrong code in previous post. The code is P0340. We had is running for a few days with no weird noises or anything. But only drove it within close proximity to our house even up to 70mph. My husband drove it to his work about 15 minutes away, parked it, went to start it after work and the vehicle wouldn't start. Had it towed home, pulled the code P0340(crankshaft position sensor). Replaced with an OEM replacement from IDparts, wouldn't start. Sent that one back and replaced with an OEM from Chrysler, still won't start. This even has our neighbor who is a Licensed Deisel Mechanic stumped, even works on semis all day. I need to know if you see the Red LED on left side of cluster ....should go ON for a few seconds after turning the ignition ON and should then go off. If it stays ON all the time or if it flashes at you all the time let me know please. Likewise have you replaced the fuel filter recently and pumped the air out of the filter head. You need to physically check that the connector on the crankshaft sensor is plugged firmly onto the sensor. Also physically check the wiring going from the sensor is not chafing onto the engine or chassis....the wire colors are: Brown with Light Blue Stripe and Dark Blue with Brown stripe. You can also disconnect the battery and re-plug the C1 connector on the ECM which is in front of the battery above the left fender...re-plug this connector a few times in case of dirt on the connector pins then connect the battery up again. It went on for a few seconds then went off. Also, hubby put the old sensor back in and now we have no codes as you can see from the picture provided. Hey, where are you located? There are some in this forum that offer driveway assistance. It's not free, but sorting these problems out takes some time. Dealers really don't have near the experience that some in here have! That said, give us as much info or symptoms you can. People will chime in with possible direction to take based on what you can give us. It may be something you or your husband can fix, or at least take the info to a mechanic. You said it ran 'good' for 1 day. Did it quit running on it's own (died going down the road) , or was shut off, and upon restarting the next time is when the problem came up? 1. is fuel being delivered during the starting process. Can you see white vapor coming out the tailpipe when you crank it? Should be a little puff-puff-puff-puff right off the end of the tailpipe. It's not a large amount.. so you need to look 'up close'. It takes about 2 seconds worth of cranking for the vapor to appear out back. We will try priming the system and see what happens. We had issues with fuel delivery issues on our 6.5l Suburban until we replaced all the fuel lines, filter, injection pumps, etc. We realize that fuel is tricky with deisel as I have ran out of fuel in our Blazer and Suburban. The vehicle was driven to his work and would not restart. After being towed home is when we got the code. This is the only diesel we own that has major issues. We also have a first gen 5.9L Cummins in a 1982 Blazer. I have helped my husband on our other deisel and have even performed some basic mechanical repairs but I refuse to touch this one. Out of the 3 years we have owned this vehicle it has maybe ran 6 months problem free. And this last time the rockers had broke, so we replaced them along with the timing belt and water pump pulley. This vehicle sat since last November(my husband plows during the winter and works like 80 hours). He got is running again and the engine sounded smooth. We were thinking of keeping it since we still had the loan. But now with this latest issue we can't. If we had the money we would pull out this engine and replace it with a small Cummins. Okay, we try that and it didn't look like white smoke but clear coming out of the tailpipe. Also, we live about 70 miles south of Chicago. That's a pretty good clue. 'ran good, shut off, later it wouldn't start'.... NO vapor. Air in the line is probably #1 but not limited to, a lot of 'no start' situations. This vehicle has a terrible design for PULLING fuel from the tank. They usually 'run', however good or bad, with a little air... but the 'start' is the kicker. if you find a lot of air during the bleeding procedure, that probably is the fox in the henhouse. 1. the original filter head was prone to leaks, an upgrade to the late style head solves this.. 'for the time being'. The verdict is still out on how long this 'fix' is with the new design. 2. The fuel tank module uses 'push on' style connectors. Very poor under negative pressures. These connections can be eliminated, and going with a new, fresh piece of fuel line and hose clamps should be the cheapest... but still have a possible connection within the tank itself to deal with. I don't know if simply keeping the fuel tank 'full' would keep those internal leaks submerged. 3. Placing an inline pump near the tank, and doing #2 would be the next step. 4. converting the fuel module within the tank, and PRESSURIZING the whole system with the in-tank pump would be the ultimate fix. There are 'kits' that get you everything you need to convert. Now, the fuel filter will be leaking fuel OUT if it's faulty) so keep an eye on it. or any other place that was SUCKING AIR, will now be pressurized and potentially be leaking liquid fuel. See what you get when you prime/bleed it first. Is the pump on the fuel filter head pumping up good and hard and have you tried bleeding the fuel filter head to see if you are getting any air out of the fuel? He will try that and I will let you know if that is the problem. The plunger felt really hard but it is a good idea to rule out fuel issues. You MUST also crack the bleeder.. and let the air OUT! Even with air, several pumps will get a 'firm plunger'. Pump until firm.. then open bleeder valve so this pressure forces the air out. takes about 1-2 seconds for it to spray out. Close bleeder. Repeat until no more 'farts of air' come out in the stream. It could take several times. May want to re direct where the fuel shoots off to; typically hits the wiring harness on top of the engine.. Not the best place. If you have a bad enough air leak at the tank, or the filter head, you may never get rid of all the air. It'll just keep sucking it in. OK that means SKIS Anti Theft system is not the problem. Definitely looking more like air in fuel problem...very common and does not post any codes. Follow the advice here on air in fuel problems supplied by the other members! Okay, bled the lines and fuel is coming out like crazy. Still no start. So, we talked to Green Diesel Engineering and they said they think it is possibly out of time or possibly the brain went bad.